After a comment the original of this post received I realized I was only presenting a Wicca’s point of view on what a Pagan is. This made me want to change what I had posted to quote other sources as well. I think I have found a wider range of the definition of the word Pagan. I know it might not completely cover everyone’s opinion of what a Pagan is but it gives us room for thought and discussion. Thank you, Sean for your comment that made me want to broaden what I had posted. A somewhat vague term derived from from the Latin word paganus. 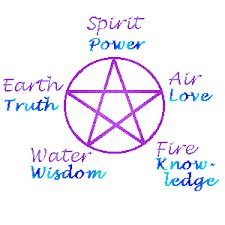 Pagan is a term which refers to a variety of different religions ranging from Wicca, to that of ancient Egypt and even Hinduism, among many others. Some Pagans are of no specific religion, but rather are eclectic. In general Pagan religions have more than one deity, or many gods which are aspects of one (an idea similar to that of the Christian trinity). Another quite common feature of Pagan religions are that they tend to be nature oriented. Pagan can also be used as a derogatory word for any non-Judeo/Christian/Islamic religion. (no longer in technical use) one of a people or community observing a polytheistic religion, as the ancient Romans and Greeks. a member of a religious, spiritual, or cultural community based on the worship of nature or the earth; a neopagan. (in historical contexts) a person who is not a Christian, Jew, or Muslim; a heathen. an irreligious or hedonistic person. an uncivilized or unenlightened person. of, relating to, or characteristic of pagans. relating to the worship or worshipers of any religion that is neither Christian, Jewish, nor Muslim. (of a person) uncivilized or unenlightened. Heathen and pagan are primarily historical terms that were applied pejoratively, especially by people who were Christian, Jewish, or Muslim, to peoples who were not members of one of those three monotheistic religious groups. Heathen referred especially to the peoples and cultures of primitive or ancient tribes thought to harbor unenlightened, barbaric idol worshipers: heathen rites; heathen idols. Pagan, although sometimes applied similarly to those tribes, was more often used to refer specifically to the ancient Greeks and Romans, who worshiped the multiple gods and goddesses said to dwell on Mount Olympus, such as Zeus and Athena (called Jupiter and Minerva by the Romans). The term was applied to their beliefs and culture as well: a pagan ritual; a pagan civilization. Contemporary paganism, having evolved and expanded in Europe and North America since the 20th century, includes adherents of diverse groups that hold various beliefs, which may focus, for example, on the divinity of nature or of the planet Earth or which may be pantheistic or polytheistic. In modern English, heathen remains an offensive term, used to accuse someone of being unenlightened or irreligious; pagan, however, is increasingly a neutral description of certain existing and emerging religious movements.